For Christmas, I got a seven remnants of all different fabrics that I had never tried before from The Fabric Store, a store that is a little out of my price range normally, but I got a discount voucher and it was for Christmas ... so yeay. 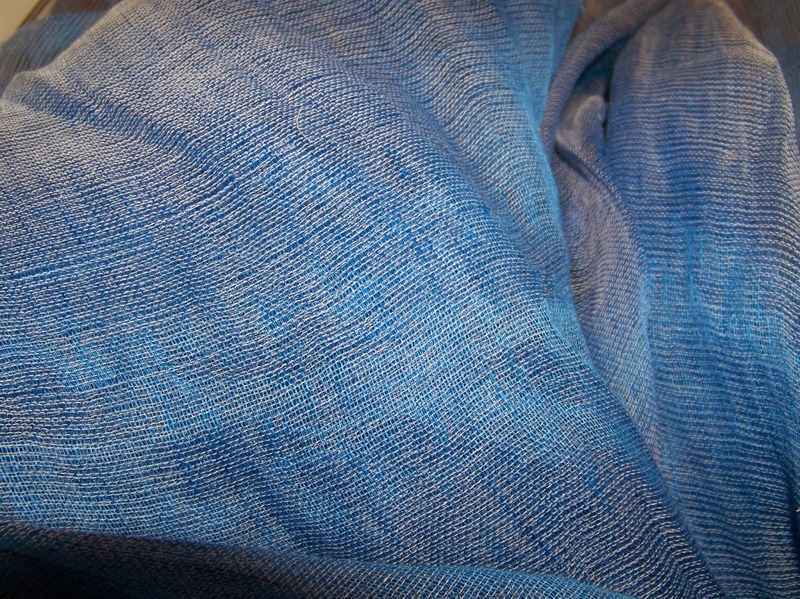 Amongst the loot was a piece of linen gauze in cornflower blue (this picture was taken indoors in the evening and it does not do it justice). 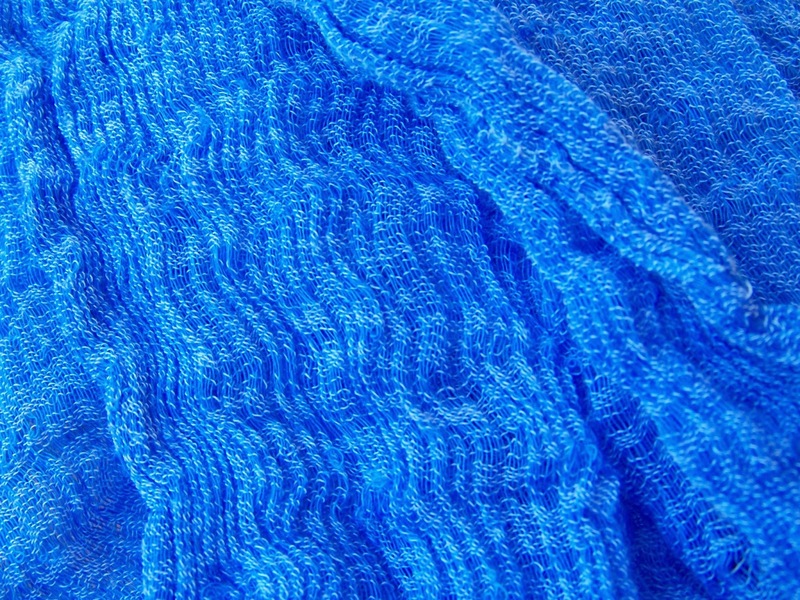 It's very loosely woven so I did a rolled hem on either side before washing it and just look what it looks like after washing it ... all crinkly and nice. It has some residual stiffness from the linen, so it'll be interesting to see how it behaves through the washes. This is my absolute favourite colour and if I can think of a way to make a dress from this fabric I will. It's probably nice for cardigans and cover-ups for the beach, not Australia of course, the sun is far too strong here, but not really sure a dress would work. 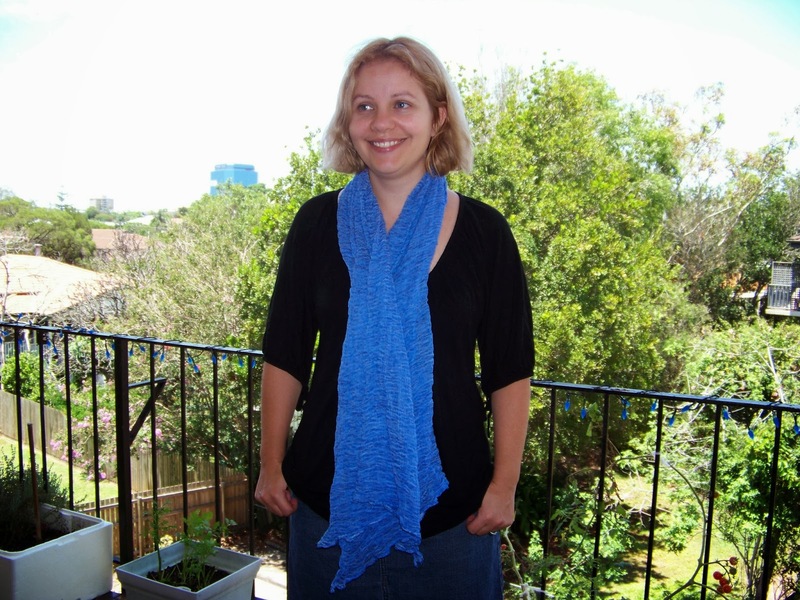 That is a very pretty scarf - as you say, far too hot to wear at this time of year. 2013 - a year in review - what next?